Caitlin Shearer: LADY PETROVA TEA PARTY!! 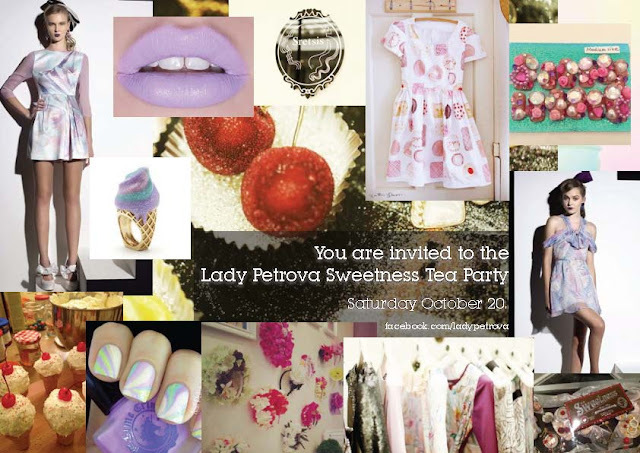 Attention Melbourne Ladies and Gents - keep this saturday free, because you are cordially invited to the Lady Petrova Sweetness Tea Party! Lady Petrova is now an official stockist of my handmade dresses, so they are having a gorgeous little shindig to celebrate! Be the first to see the stunning new collections from Sretsis, Matina Amanita and illustrated dresses by yours truly, Caitlin Shearer. This Saturday the 20th from 1pm-6pm.